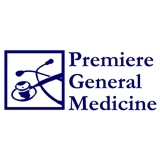 Premiere General Medicine SC (Hinsdale) - Book Appointment Online! Patient care is the priority. Dr. Rizzo combines the best of both worlds... traditional medicine and modern technology. He still sees his patients when they are in the hospital and utilizes updated technology to provide for smooth office logistics. Dr. Rizzo is fantastic and the easiest Dr. to talk to. Every thing about the appointment was great and he had an outstanding staff!